We’ve all seen countless posts of rainbow bagels and over-the-top milkshakes trending on our social media feeds. It has even caused closures and long lines at the eateries that have made them famous. Recently, Google released their Food Trends Report that compiled the top searches that shows a strong representation of what the U.S. is researching in terms of food. Turmeric, jackfruit, cauliflower rice, sourdough bread, funfetti and vegan donuts are on the rise. Google notes that these have seen sudden growth within the past months, but might not be lasting trends. 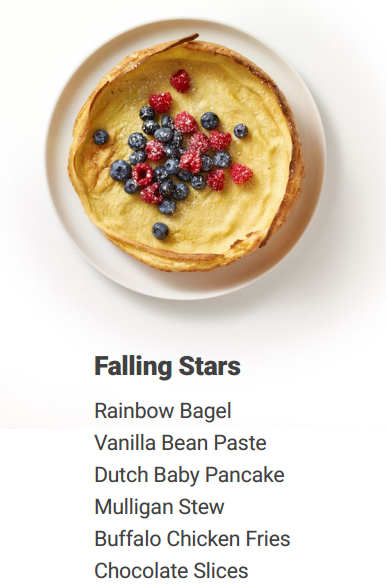 The beloved rainbow bagel, along with vanilla bean paste, Dutch baby pancake, Mulligan stew, Buffalo chicken fries and chocolate are “fads that have reached their peak and have already started to decline rapidly,” according to the report. Additional rising trends include food with function (turmeric, apple cider vinegar, etc. ), traveling through taste (think: Mexican Candy, Pho, Mochi Ice Cream), experimenting with pork, bite-size snacks and the return of pasta. I suggest reading the report to delve more into the rise and falls of these food trends. There’s way too much must-read info in the 75-page report that couldn’t be summed up in this m.blog post.